I have been waiting for MakerFaire to come to Pittsburgh for years!!! I have been a follower of Make and Craft – both are magazines/blogs published by O’Reilly Media. The Make magazine folks organized the first Maker Faire in CA back in 2006. It was a live festival of all things creative, handmade, DIY and hacked. 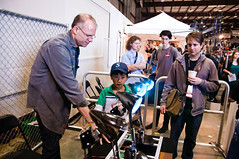 Since 2006 – Maker Faires have been held all over the world. Maker Faires have included demonstrations of all kinds of neat things. I had the opportunity to see Bre Pettis, who is a maker/hacker extrodinairre, give a talk on the 3d printer back in 2009 at ROLFcon. 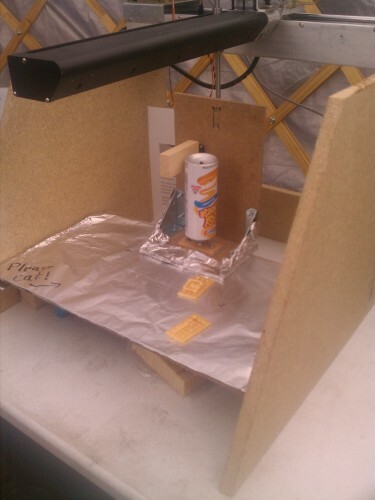 You can check out a video of his presentation about rapid prototyping and the 3d printer at ROLFcon here. I left ROLFcon thinking Pittsburgh needs to have a hacker space of our own. Fortunately – others were thinking the same thing. In May 2009, HackPGH opened a hacker space in the uptown neighborhood to provide a workshop space where makers could come together and well, make stuff. HackPGH has hosted and continues to offer many classes on things like lock picking, LED Flowers and crafts. Maker Faires are meccas of making things. I know many a Pittsburgh who has traveled to Detroit or beyond to attend a Maker Faire. Yes, Pittsburgh has a lock picking group! This city has something for everyone. Not sure about lock picking – I wouldn’t have thought much of it before either but then I read this fascinating article from a 2009 issue of Wired about the Ultimate Lock Picker. 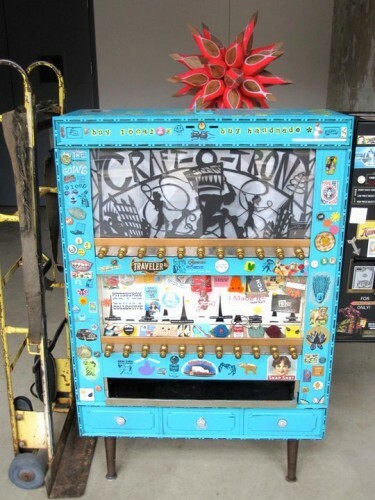 This is an awesome collaborative project of artists and hackers. But what you really need to know is that this is a vending machine where you can get a crocheted pierogi. 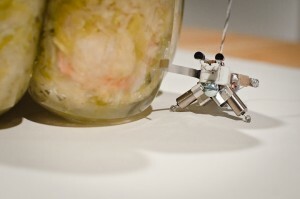 Jesse Hemminger has created these little guys that run on sauerkraut. Seems like a perfect Pittsburgh technology to me.